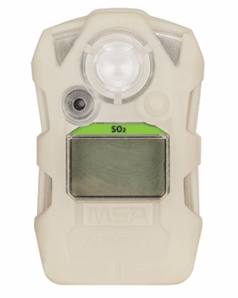 MSA 10154191 ALTAIR 2X portable gas monitor to detect and measure Sulfur Dioxide (SO2) in hazardous environments. Altair 2X gas detectors offer low ownership cost, durability and advanced technology. Altair 2X model 10154191 features a glow in the dark housing.